I’m convinced I was a surfer in another life. I love everything about the surfing lifestyle. Ocean, sunshine, fresh air, exercise. 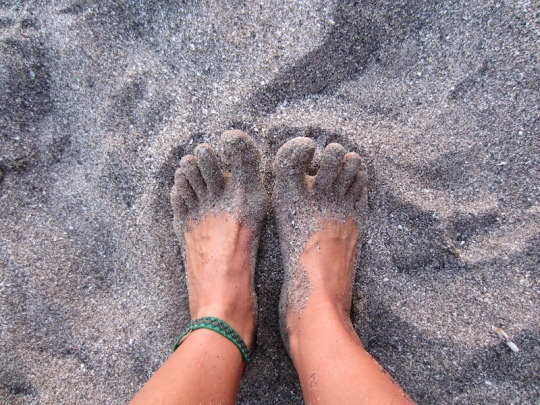 Beaches, salt in my hair, sand in my toes. The smell of coconut sunscreen. A stripe of zinc across a sunkissed face. Bikinis and board shorts as a daily uniform. Spending hours in the ocean only to emerge and hop on a motorbike in bare feet, wet hair flying in the wind. By almost all accounts, my idea of paradise is a life on the beach, chasing the perfect set and building sandcastles with my scruffy hubby and our sunkissed babes. Too bad the actual surfing gets in the way. It’s not that I don’t like surfing exactly, but I don’t easily warm to things I’m not particularly good at, and surfing doesn’t seem to come naturally to me, despite whatever past lives I might have lived. Shocking since I have surfed a grand total of 6 times in my life. That’s roughly 12 hours (less if you subtract the time I’ve spent on the board, waiting for a wave). Screw Malcolm Gladwell and his “10,000 Hour Rule” – I should be an expert by now, no? 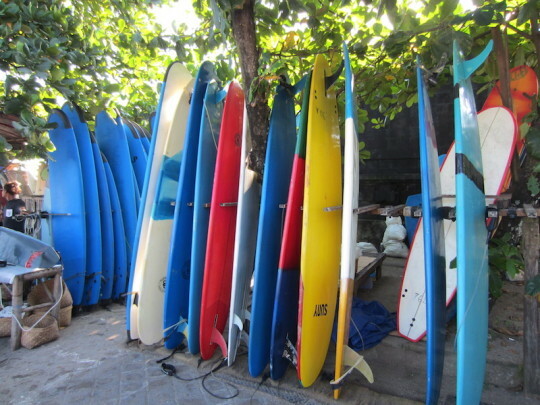 It seems I might need some help with this endeavour, and so I find myself prone on a board in the Indian Ocean, off the coast of Bali, signed up for Gekko Retreat’s 7-day surf and yoga retreat, waiting to catch the perfect wave. 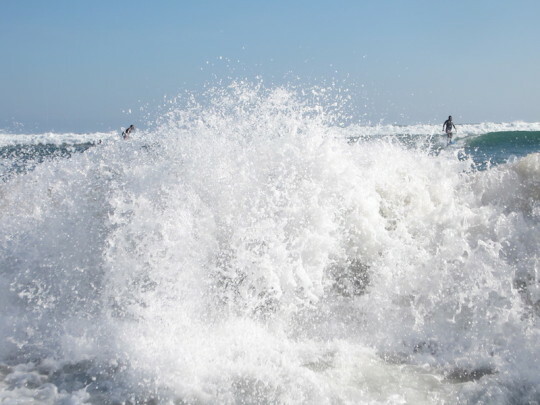 With long bleached hair, mirrored sunglasses, and an easy smile, my Balinese surf instructor Jonah would be right at home on the beaches of Malibu. Every day he patiently holds my board and watches the horizon, in search of a wave I will actually be able to catch. Not an easy task. We play this game of aquatic Simon-Says for almost two hours every morning. Jonah tells me when to get on the board, when to turn around, when to paddle, and most importantly, when to stand up. That last one seems to be giving me trouble. Set after set I tumble off the board and into the waves, aiming for a graceful dismount, but has anyone ever managed to look graceful with their nose plugged and panic in their eyes? I think not. No matter how many times I fall, Jonah is there when I surface, a big smile on his face, two thumbs up in the air, laughing at my wipe out, and encouraging me to try again. I’ve got a long road ahead if I’m going to live the surf life. In contrast, sunrise yoga at 6:30 every morning is an entirely different experience, one that thankfully doesn’t end with salt water up my nose. My instructor is a beautiful Balinese woman named Wayan, who emits the kind of inner peace and calm that fuels the $27 billion-a-year yoga and meditation industry. Every morning Wayan takes us through an hour of poses and breathing on the outdoor terrace. 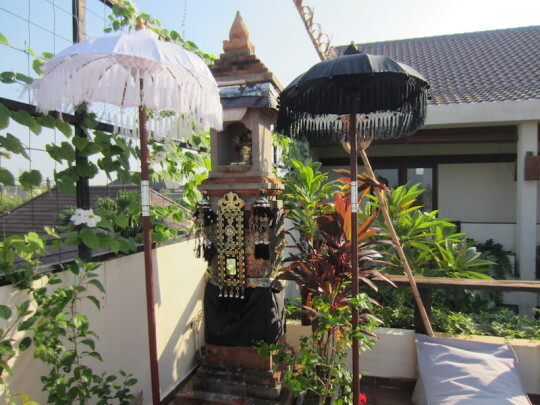 We look out over rice paddies while the crow of the roosters accompany her om’s. She ends each practice with “my all day, be happy,” and under the cloudless blue sky with the roar of the ocean in the background, it feels like a distinct possibility. When I’m not in the water or on a yoga mat, I set about exploring my home base in Canggu (watch for a blog post coming soon on where to eat / sleep / play). 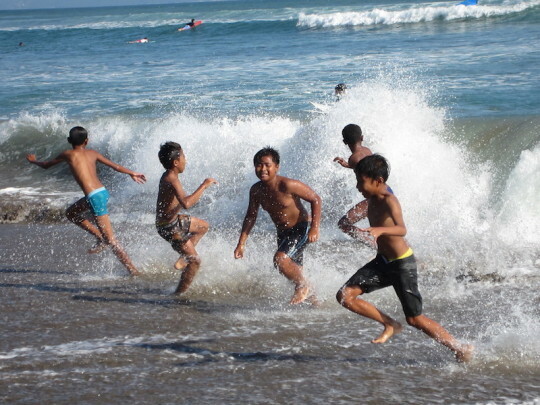 Since the explosion of tourism in Bali, resort development has slowly crept up the coast through Kuta and Seminyak. Canggu is the next frontier. 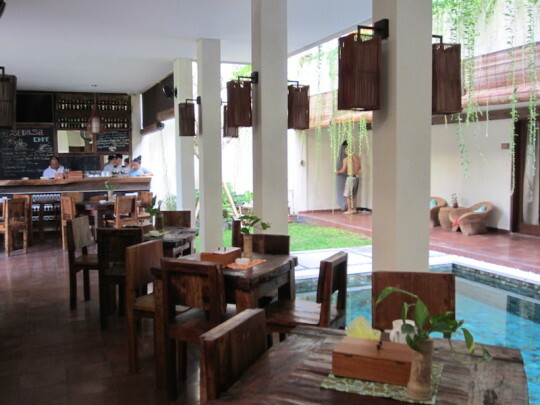 The area is close enough to the shopping, restaurants, and night life of Seminyak to stay entertained, yet far enough away that it still retains the laid back attitude of a hidden gem. Over the next several weeks, no matter where I set off to explore, I find myself returning to Canggu again and again. Life here is like a pair of perfectly broken-in jeans – comfortable, with just the right amount of rough edges. 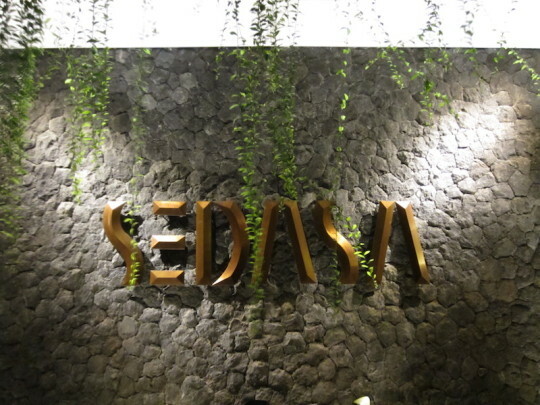 Part of the appeal is my new home-away-from-home at the Sedasa Lodge, a tiny boutique hotel in Berawa Beach. 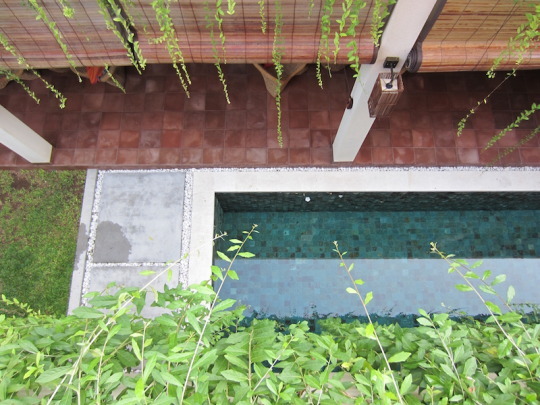 The hotel has just ten rooms, set on two floors overlooking a central courtyard with a small pool. Their tag line is “10 rooms. 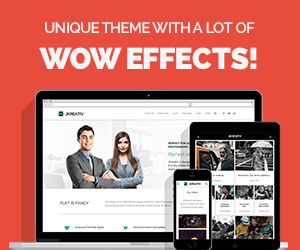 1000 welcomes.” and they certainly deliver. Their small staff welcomes guests with open arms and easy smiles, and after seven days I feel like I’ve spent the week with friends (albeit friends who deliver fresh fruit, omelettes, and smoothies to me every morning). Motorbike rentals, directions into town, restaurant recommendations – there is no request too big or too small for this amazing team. If I could, I would take up permanent residence here, and find myself contemplating it on more than one occasion throughout the week. But before I get ahead of myself there’s the small matter of improving my surfing technique. At the end of the week I’ve stretched at sunrise, I’ve felt the sand between my toes, I’ve navigated a motorbike through shortcuts in rice fields, I’ve even managed to ride a few waves. I’m one step closer to living my dream of a surfer’s life and my all day is happy. 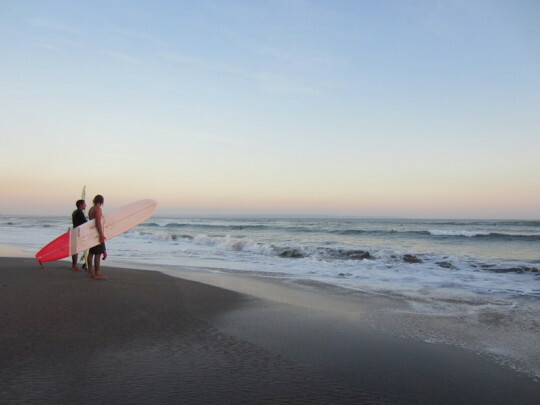 For more information on the 7-day Surf & Yoga Retreat, check out GekkoRetreats.com. Accommodations from Sedasa Lodge. Surf lessons from Charlie Brown Surf Shop. All in Canggu.